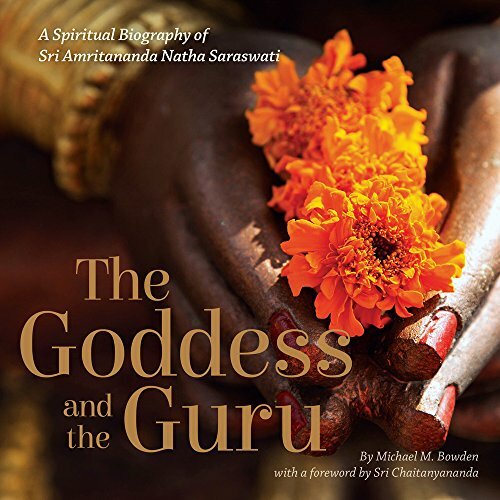 The Goddess and the Guru was researched and written with Amritananda's full participation, review and approval, and it is the first book to tell the complete story of his astonishing life and spiritual journey. The Goddess and the Guru draws upon reams of original documents and countless hours of interviews, both early and recent – not only with Sri Amritananda himself but with those who knew him best throughout his life: as a child, as a student, as a father and husband, as a friend, as a scientist, as a teacher; and, of course, as a guru. These perspectives are elucidated and contextualized throughout by academic experts on Sri Vidya, Tantra and Indian history, culture and religion. The book also offers rare photographs, many of them never before published, as well as samples of Amritananda's sketches and drawings, facsimiles of his handwritten manuscripts and much more. Professionally designed, edited and indexed, The Goddess and the Guru is a beautiful, high-quality keepsake that offers the rare and inspiring experience of an intimate, extended conversation with Amritananda – a chance to get to know, for yourself, one of the great spiritual masters of our time. Cover of the special, advance limited edition of The Goddess and The Guru, available six months before formal publication in Autumn 2016. The Goddess and the Guru is scheduled to publish as a paperback original in Spring 2017. But those who wish to can obtain a special, limited-edition hardcover edition with full-color illustrations, six months in advance of publication. These limited-edition books will be offered for 30 days only – beginning on Amritananda's birthday, September 26, and continuing until October 25, 2016 – a period also encompassing the first anniversary of his passing (October 10), all of Navratri (a major nine-night festival of the Hindu Goddess; October 1 through 9) plus Vijaya Dashami. This special crowdfunding campaign will allow you to get directly involved in making this important publication project happen – while also supporting Sri Amritananda's ongoing legacy through the valuable work of the Sri Vidya Trust, founded by him in India in 1982. A second volume of The Goddess and the Guru, titled The Selected Writings, will publish in 2017 (also in a special advance edition) and 2018 (in a regular paperback edition). Featuring a generous selection from Amritananda's writings, lectures, ritual guides and poetry, The Selected Writings offers a treasure trove for those who wish to significantly deepen and expand their spiritual practice while remaining fully engaged with the world. Spanish and Russian translations of The Goddess and the Guru are currently underway, and Indian publication (along with translation into India's regional languages) is also planned.